Women face a continued struggle to make it to the top in financial services according to a new study. A study by international law firm Pinsent Masons looked at data from the UK’s financial services regulator, the FCA, and found that it had received 8,471 applications for women to take ‘approved person roles’ compared to 38,493 from men. 'Approved persons' typically have significant influence over the firm's regulatory conduct and therefore occupy senior roles. However, women do have a slightly higher chance of successfully completing the process than men, with 86% granted Approved Person status in 2017 compared to 80% of male applicants. “The absence of gender diversity at the top of financial services is a challenge for financial institutions. 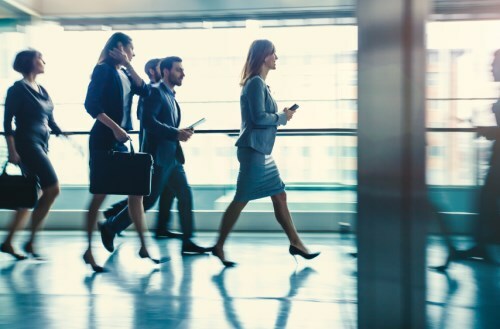 Although this is an intractable and difficult problem, it is critical for business and society that it is addressed,” said Carolyn Saunders, Head of Pensions & Long-Term Savings at Pinsent Masons. The report says that the lack of women in senior roles is more than just a workplace diversity issue. Fewer senior women means that financial products are less likely to be developed with women in mind, adding to the financial security gap which has been highlighted in several studies. The Pinsent Masons’ study confirms previously reported gender gaps in financial literacy and approach to investments, despite the increased share of women controlling wealth.